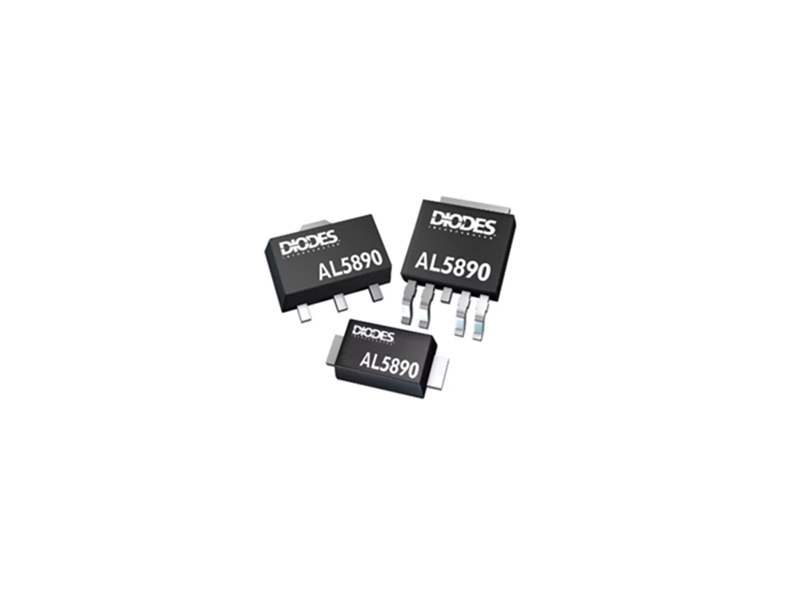 Diodes Incorporated AL5890 Linear LED Drivers are a constant current LED driver with a 500VDC operating voltage which provides a cost-effective two pin solution. The AL5890 linear LED removes the need for external current setting resistors and builds a simple driver solution with various fixed output current options. These drivers support both high-side and low-side driving of LED chains. The AL5890 LED drivers are turned ON when the voltage between the terminals IN and OUT is greater than 7V. These linear LED drivers feature thermal foldback protection, fixed output currents across a 10mA to 40mA range. The AL5890 linear LED drivers come with thermally enhanced PowerDI123 (Type B) package. Typical applications include decorative LED lighting, AC LED lighting, and display signage lighting. You can check out our led driver products here.